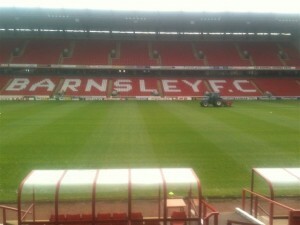 Barnsley fc happy with our vertidrain service. Just got finished before the rain came again !! « Shrewsbury F.C renovation goes well.